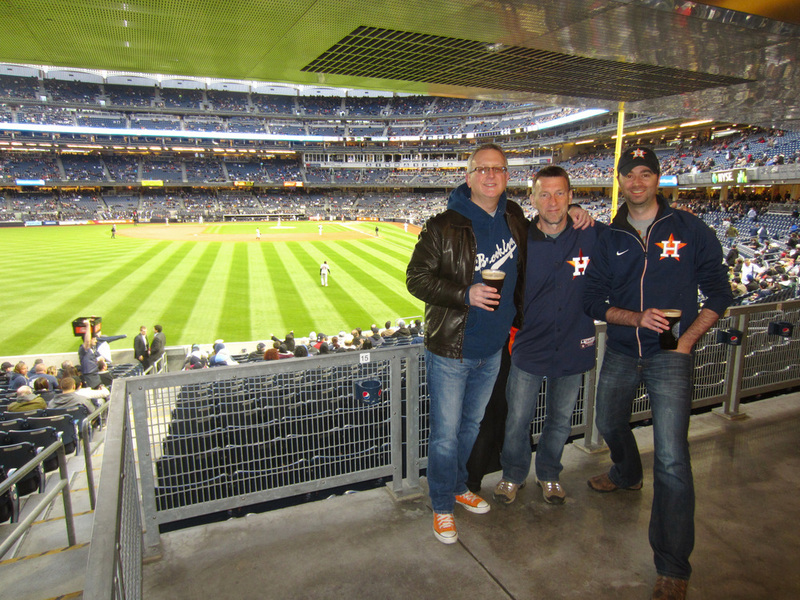 It was a splendid spring night for baseball as we made our way uptown on the Green Line to Yankee Stadium to get a glimpse at one of our new favorite clubs, the Houston Astros. It warmed our hearts to see all the Houston fans (including Bill and Michael) supporting the club with their new branding. The Astros came into the game with the worst record in baseball (8-18), but 17 hits and a 9-1 away victory put smiles on our faces! Go Houston! The Astros grey away jerseys looked great with the navy cap and orange bill. A special thanks to our friends at MLB for the tickets!